During my travels throughout Ireland, I've had the opportunity to sample many restaurants, cafes, tea shops and bars. 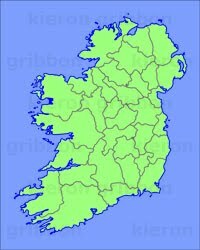 Of all the places I have sampled in Ireland, I have my own personal favourites - these are all marked on the map below. Being based in Belfast, many of my recommendations are for establishments in Northern Ireland.